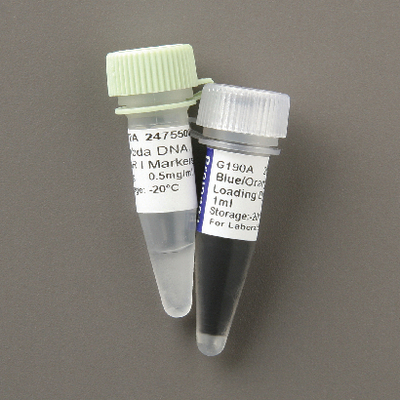 These high quality DNA Markers were created by digesting specified DNA to completion with one or more restriction enzymes, complete with heat inactivation. The recommended loading for each is 1μl per lane. Used for DNA electrophoresis labs. Note: Perishable. Store frozen. Shipped next day air on ice. A ship date is required. Lambda DNA c1857 Sam7is isolated from infected e.coli strain W3350 and typically used as a molecular weight marker during DNA electrophoresis. Will yield typical patterns when cut with restriction enzymes. Uncut size is 48.5 kb. Note: Storage at -20°C required, ship date required. Available to U.S. customers only. 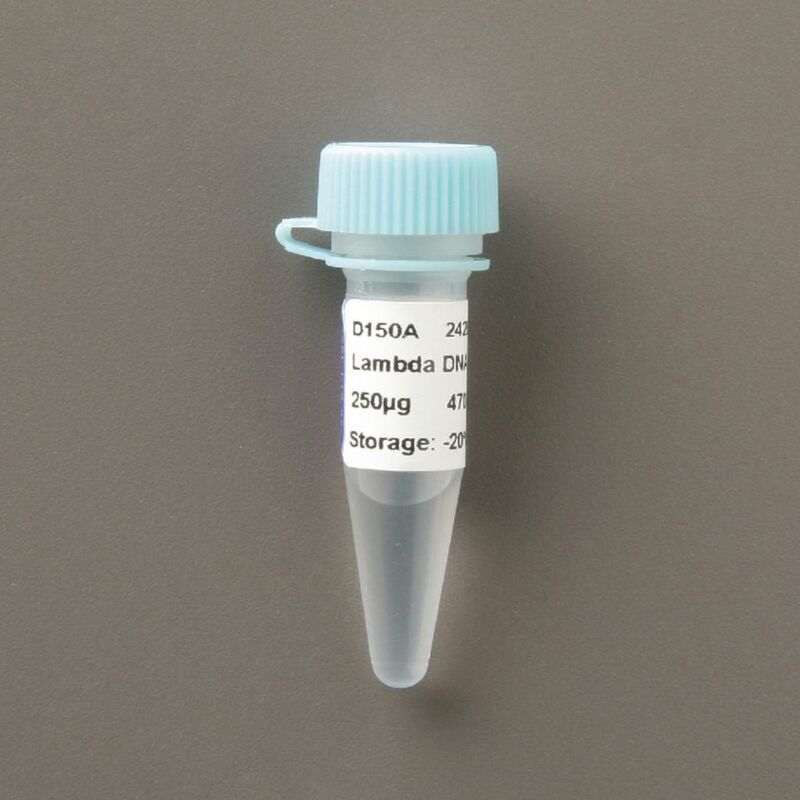 This high quality DNA marker is created by digesting Lambda DNA to completion with Hind III restriction enzyme, complete with heat inactivation. 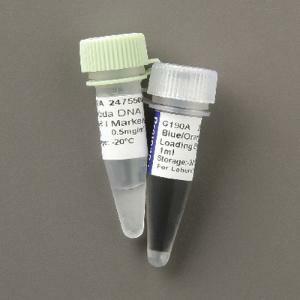 Great for use as a moleduclar weight marker during DNAelectrophoresis, it is supplied with 1ml Blue/Orange 6X loading dye. Recommended loading is 1 μl per well. Note: Storage at -20°C required, ship date required. Available to U.S. customer only.